The developer toolbar is a command-line interface which lets web-devs issue commands to pages and IceDragon itself. Select 'Web Developer' > 'Developer Toolbar'. Press F1 to open the pop-up help. 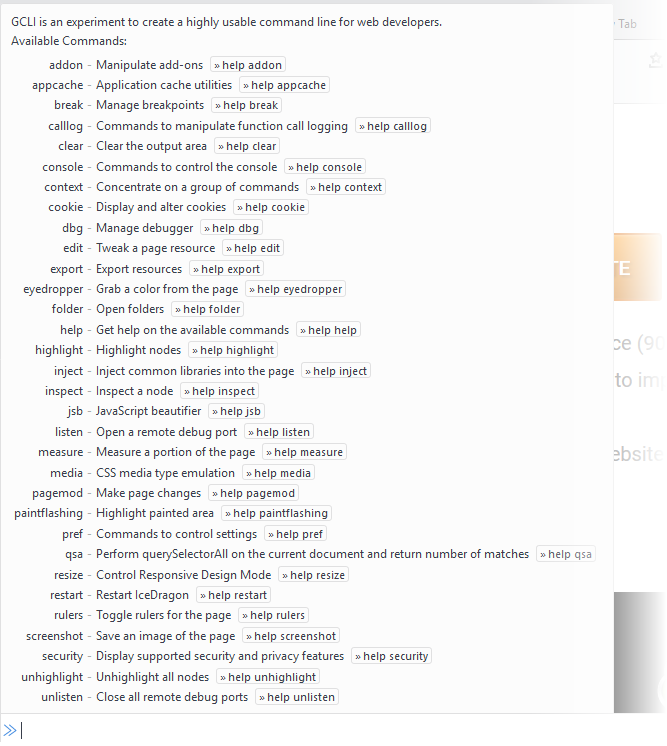 To view a list of supported commands, type 'help'.